MOSCOW, February 6. /TASS/. Ukraine’s incumbent President Pyotr Poroshenko won’t be able to win the upcoming presidential election without electoral fraud, former President Viktor Yanukovich told a news conference in Moscow on Wednesday. "Today, when the presidential election is round the corner, and then the parliamentary election will take place, we must say definitely that the regime will be doing everything at whatever the cost to engage all the available resources, including administrative, and different technologies that will help rig the election, as it will be impossible for President Poroshenko [to win] without electoral fraud," Yanukovich said. Poroshenko’s chances are zero also because he is a businessman, not a statesman, he went on to say. 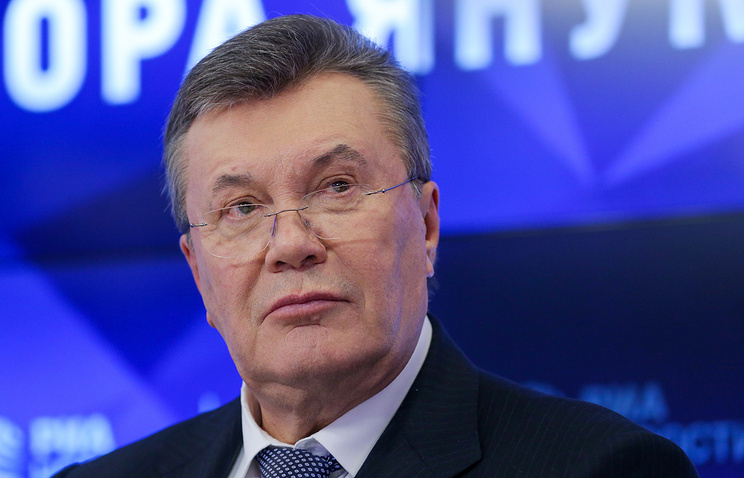 "Gaining personal benefits and profit is his first priority and he would give anything for it," Yanukovich said. According to him, it is typical of Poroshenko to tell lies. "Ever since I have known him, he lied not only to me, but to everyone, this is his professional habit," Yanukovich noted. He went on to say that Poroshenko’s goal was to make personal gains at all costs. "He has been using his power and the opportunities he currently has for that purpose," the former president stressed. "I don’t believe he will have any chances during the election, though he is very, very devious," he summed up. The presidential election in Ukraine is scheduled for March 31. The front-runner of the latest opinion polls is entertainer Vladimir Zelensky, while the leader of the Batkivshchina party Yulia Timoshenko and Poroshenko share the second and third places. Poroshenko remains the only unregistered candidate, having submitted his documents at the very last moment - on February 3. The registration process will continue until February 8.